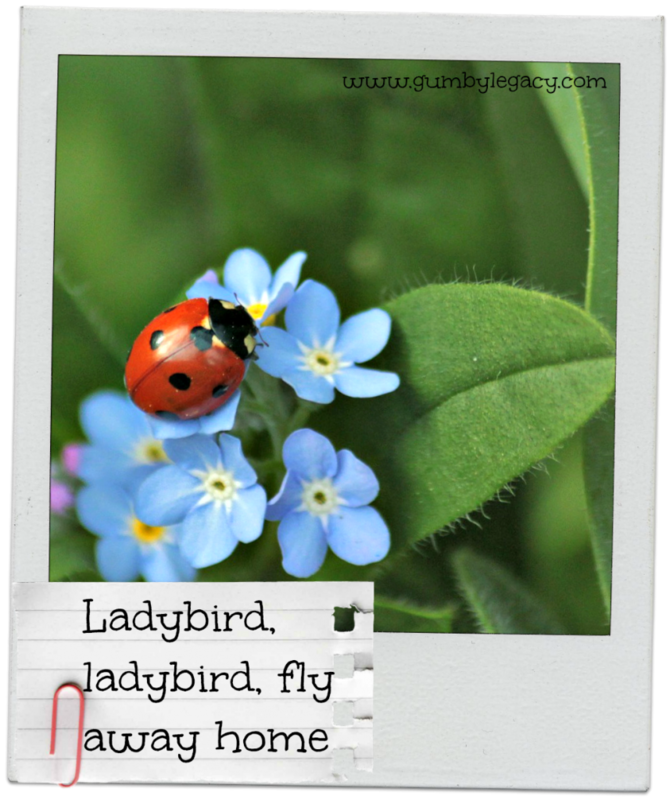 You are here: Home / Blog / Ladybird, ladybird, fly away home! 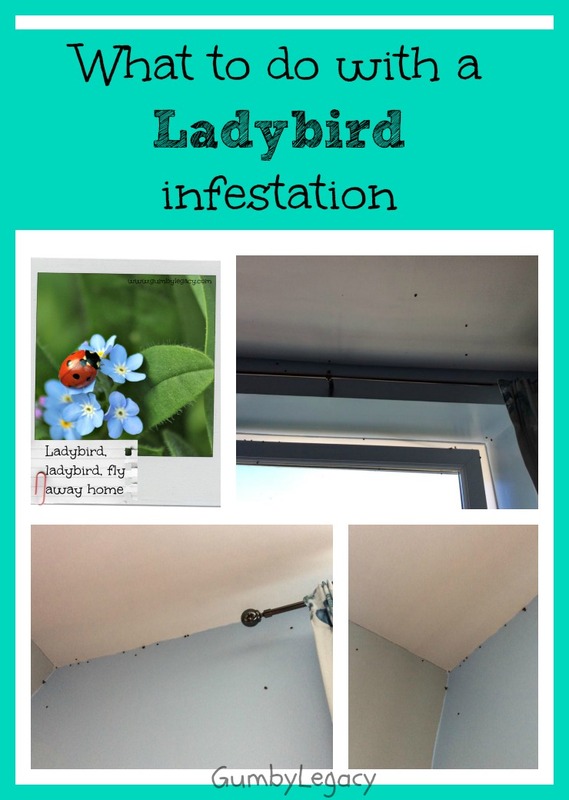 I have spotted two ladybirds/ladybugs (whichever you prefer) in houses over the last few days – a huge one just this morning on our kitchen wall and I know this sounds ridiculous but I can’t remember if the other was actually in our house or not! Anyway, so far, wherever they were, there doesn’t appear to be an infestation as yet! A reason you might be seeing ladybirds in the house at this time of year is because they (like load of other critters!) are looking for a warm place to hibernate for winter. They tend to hibernate in groups so usually, if you see one, there are likely to be more around. This doesn’t really matter though as they don’t eat anything or cause any damage once they are in the house. They live off of their fat (!) during their hibernation and generally fare better in humid environments. Unfortunately, most of our houses during winter are dry due to central heating, so many may actually dehydrate and die so if you see any wandering around in the bathroom or kitchen on a cold winters night, they’ll be after a drink! They will leave in the spring when the weather warms up but if you really don’t want them spending the winter in close proximity to you, be careful how you remove them as they can leave yellow stains on the walls or surfaces if you stress them out. This is not ladybug poop but actually a bit of blood! When ladybugs are stressed out or in danger, they will play dead by lying on their backs and pulling up their legs, releasing a little bit of blood from them. This blood is yellow and foul-smelling, often enough to dissuade any potential predator from having a ladybug snack. Bright colours in nature also act as a warning to predators and ladybirds come in all sorts of red, orange and even pink hues. Once danger has passed, it’s back to business as usual. Ladybugs are really useful insects as they can eat up to 50 plant – destroying aphids per day and you can actually get ladybug rearing kits to raise them yourselves or buy ladybirds in bulk to help protect your precious roses, crops or other plants. Do you know where the well-known nursery rhyme – Ladybird, ladybird, fly away home etc comes from? Please share if you do. the best thing to do is to try to prevent more from coming in as the pheromones they release will a attract friends. Seal up all cracks in window frames, gaps under doors, cover vents with mesh etc. another option suggested by Pest Control Supplies is to hoover them up in their clusters. This is something better attempted when they appear to be sleeping, as this way you can catch them by surprise, and lower the risks of them escaping. If they do fly away, they may disperse and find somewhere else to settle, which will mean that you will have to find the newly formed cluster and risk staining from the yellow liquid they excrete in another area of your home. once you have had an infestation, it’s really hard to get rid of the pheromones so clean the area well and maybe think about spraying a residual insecticide next year to prevent them from entering your home in the first place. Apparently the yellow stains can be removed by wiping with white vinegar.